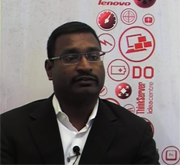 AdAsia interviews Ajit Sivadasan, VP and General Manager Global Web Sales and Marketing at Lenovo.com. He talks about his own journey in digital and offers reasons why the Lenovo brand has been successful. Ajit Sivadasan explains the focus now given to the Web and social medial by his company and team.